cast stainless steel, mirror, stainless steel wire. stainless steel, chromed metal, aluminium, rubber. "She Starts By Removing Her Face" explored the concept of body commodification as expressed and experienced through plastic surgery. 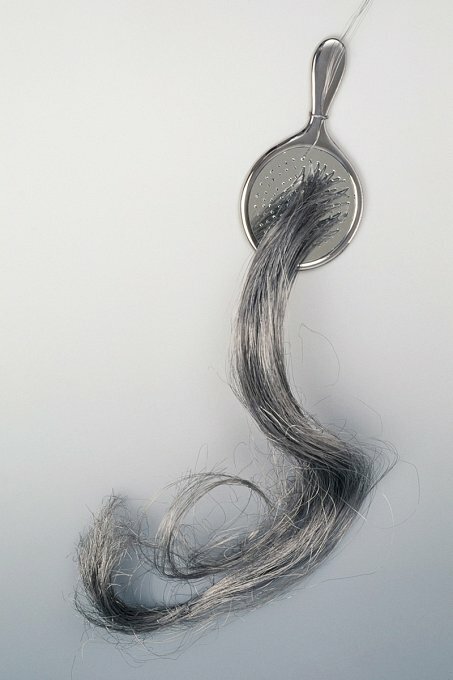 The exhibition included a series of stainless steel mirrors that had been sutured with stainless steel wire. The manipulation of the mirror surface denied the viewer any anticipated sense of gratification when they looked at themselves. Instead, they were offered experiences that mimicked obsessional identification, objectification and the disruption of their self image. 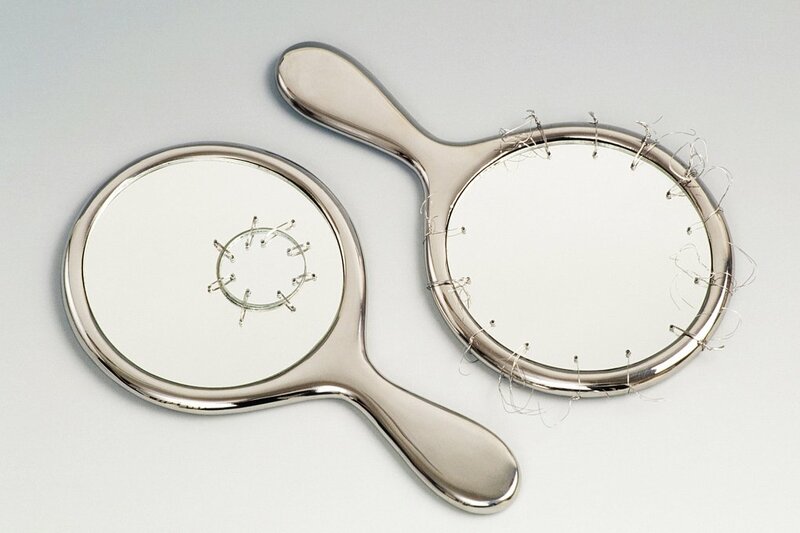 Stainless steel and mirror have been used to recreate and highlight the paradox associated with plastic surgery. The stainless steel and mirror are at once alluring and sophisticated whilst also being clinical and cold to touch. 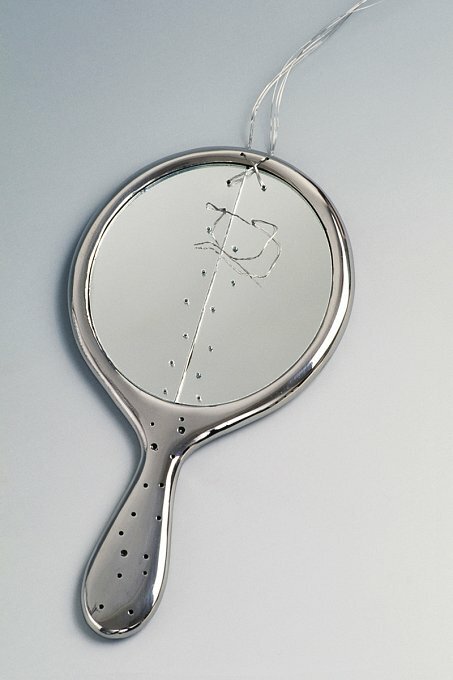 The titles of the mirrors suggest the seductive nature of the idea of plastic surgery. The exhibition also included two pieces of sculpture made from stainless steel chain mail and cast stainless steel titled "Proposition" and "Adoration". 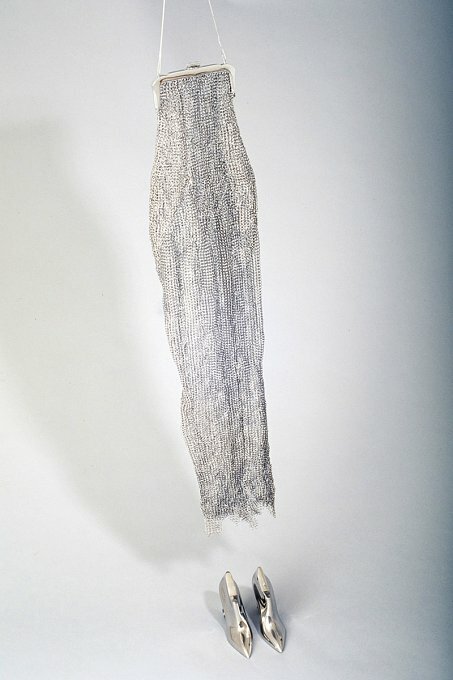 "Proposition" explores the concept of the body as commodity. The subject is represented by a chain mail handbag. 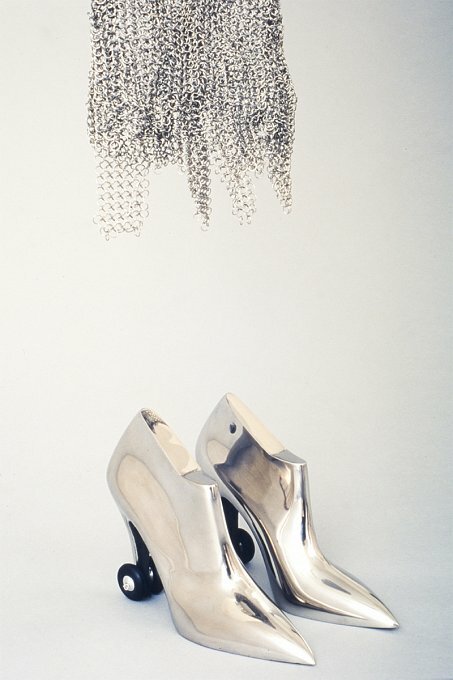 The handbag has been substituted for the body and is suspended over a pair of cast stainless steel high heel shoes with rubber wheels. 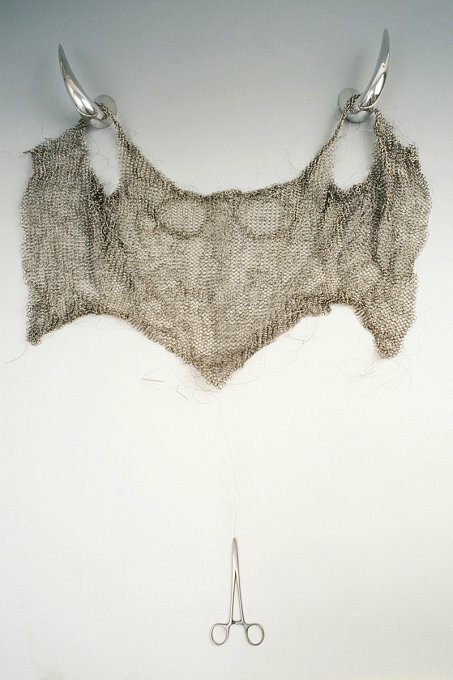 "Adoration", a chain mail bodice hung from horn like hooks, locates the experience of the removal of the skin, the body and the identity of the subject through this process.